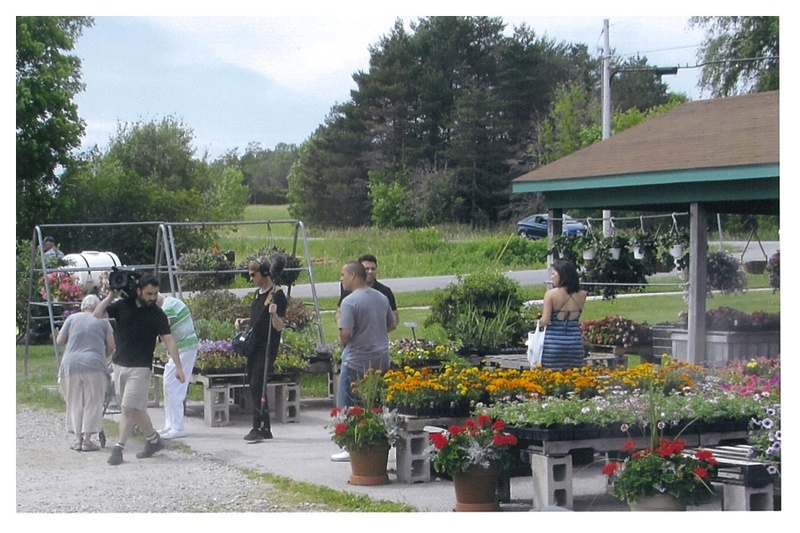 A crew films a scene for FYI Network’s show ‘Pressure Cooker’ at Adams Farm Market on Monday. Shoppers at Adams Farm Market in Williston may have noticed a bit of chaos Monday afternoon, as contestants in a national TV show raced through the aisles, snatching up Vermont products before dashing back out. A crew for FYI Network was filming an episode of its new show, “Pressure Cooker,” at several Vermont locations this week. The show features out-of-state chefs who compete on the clock with less-than-able sidekicks to create the best meal using local products. One pair ended up coming to the farm market, grabbing maple products and rhubarb. “They definitely made a little bit of scene here for about 20 minutes,” she said. A+E Networks is launching FYI Network in July, rebranding BIO Channel. FYI is “a contemporary lifestyle network reflecting how people actually live their lives today,” according to a December press release.